I think I may have found a new favorite mascara. 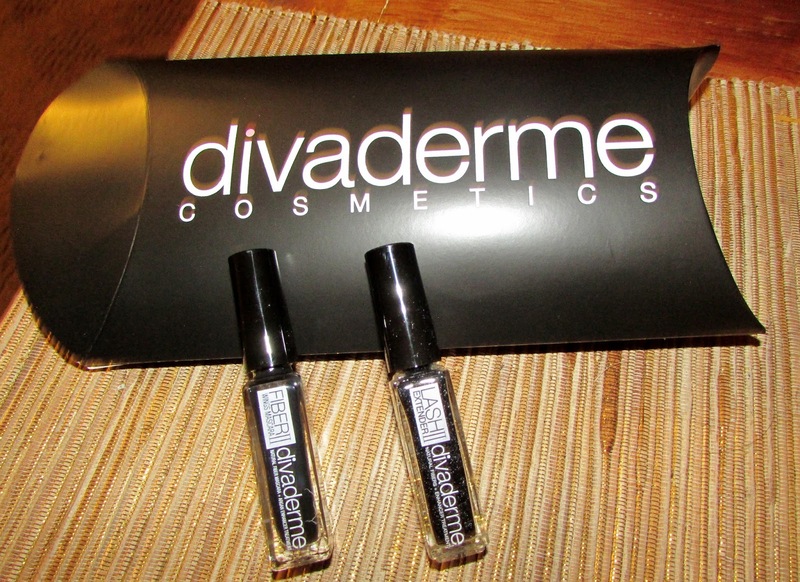 It's from Divaderme, a company whose all-natural lash and brow products have defied makeup standards for over 30 years. 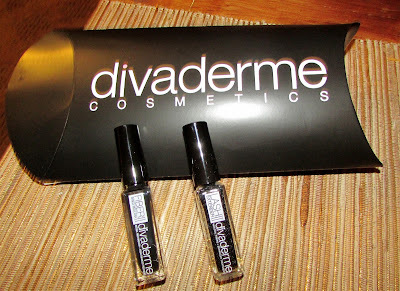 I received the Divaderme Fiber II Wings Mascara and the Lash II Extender for review and am seriously pleased with both. My lashes have never looked fuller or longer. The mascara itself is formulated to create dramatic definition, length, thickness and volume. The lash extender is formulated with natural moisturizers and herbal extracts to create full and lush lashes. To create a full effect, I've been using a 3-step process by first putting on a coat of the mascara, then applying the lash extender and, lastly, putting on another coat of mascara. Every time I do this, I am in love with how my lashes look. They "pop" and are more noticeable, without being weighed down. Regardless of how many applications I put on, I don't feel any stickiness or heaviness on my lashes. The only downside to these products is that both bottles look alike, so I have to carefully read the front labels each time to make sure I'm applying the mascara when I want and the lash extender when it's time. I love makeup and enjoy experimenting with different brands. The Divaderme Fiber Wings Mascara II and the Divaderme Lash II Extender rate among the top as favorites. I love that I can create the desired look for my eyes with products that contain natural extracts. Divaderme, you rock!! How about you add a photo of your eyelashes with the mascara!? Or just send your bestie a sample!! !